Who says wellness has to cost an arm and a leg? 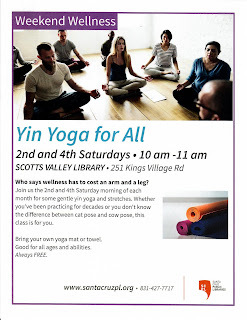 Join us the 2nd and 4th Saturday morning of each month for some gentle yin yoga and stretches. Whether you've been practicing for decades or you don't know the difference between cat pose and cow pose, this class is for you.